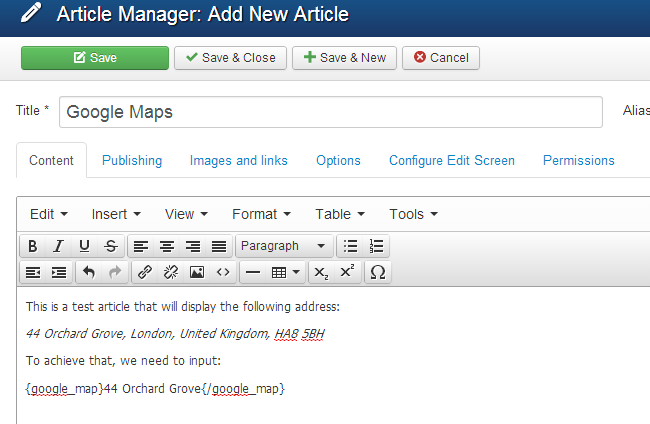 The Embed Google Map plugin will allow you to embed different maps to articles on your Joomla 3.x website. It is an easy thing to do using the plugin and you will not have to make much modifications for that purpose. You can download the extension from the official Joomla extensions section. You need to select the Maps & Weather category and then Maps & Locations > Street Maps. 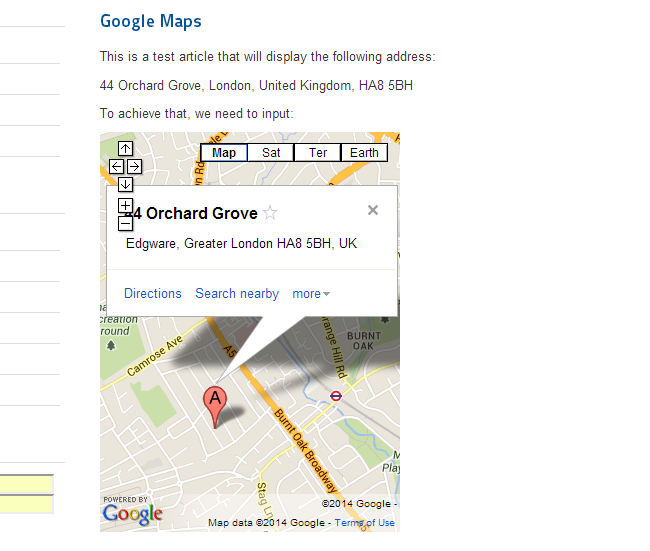 Then simply review for the Embed Google Map extension from the list on the screen. The installation of the Embed Google Map extension is standard. We do have an excellent tutorial on How to install and uninstall extensions in Joomla. Once you install the plugin on your website, you will also have to activate it. To do so, you need to log into your website as administrator and then navigate to the Extensions tab from the top menu and then Plugin Manager. Search for the plugin in question, select it and then click on the Enable button at the top to activate it. Log into your website and navigate to the Content tab from the top menu and then Article Manager > Add New Article. Edit your new article the way you would like to appear on your website. Then simply insert the required code with your address exactly where you wish the map embedded. Click on the Save & Close button at the top of the screen to publish the new article on your website. Note that we have set it as featured so it will be visible via the homepage directly.